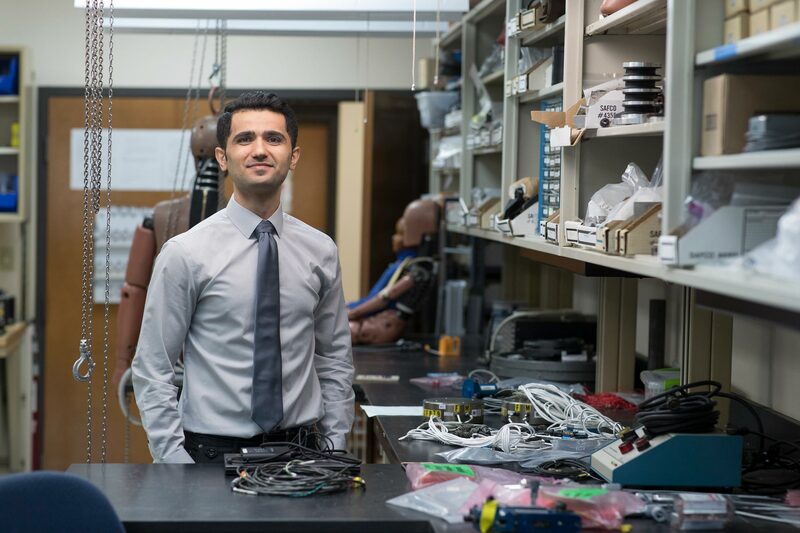 Joodaki is working at UVA’s Center for Applied Biomechanics, located in the UVA Research Park, to develop a better seatbelt design, specifically for the obese. The lab focuses on understanding how the body responds to crashes and how to improve safety features. Joodaki is using a state-of-the-art virtual human model with a body mass index of 35, designed to mimic the behavior of an obese occupant when under impact. This detailed model is based on both the overall human body and the mechanical properties of biological tissues.